Toy trains have fascinated me since I was little and even today my eyes gleam with child like excitement when I get a chance to ride on one. 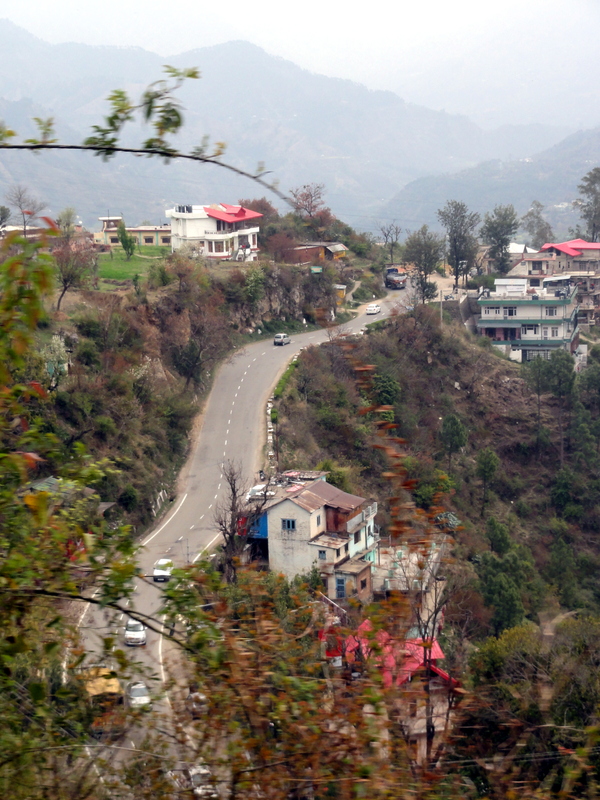 So opting to travel by the Kalka Shimla railway to reach the beautiful hill station of Shimla, instead of taking the road journey from Chandigarh to Shimla was a natural choice. Considered as one of the most unique railway tracks in the world, this UNESCO Heritage site has some really significant features. This mountain railway is a 2’6″ narrow guage and meanders through a whopping 102 tunnels and 886 Arch bridges along its 96 km journey that is completed in about 6 hours. 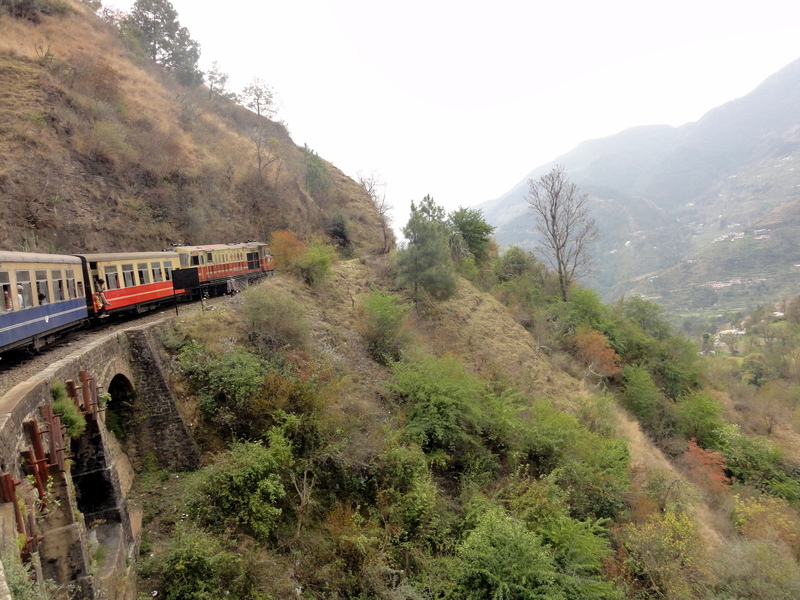 Opened to traffic since November 1903, this charming journey offers a great opportunity to experience the spectacular beauty of the Himalayas and the surrounding landscapes from close quarters. 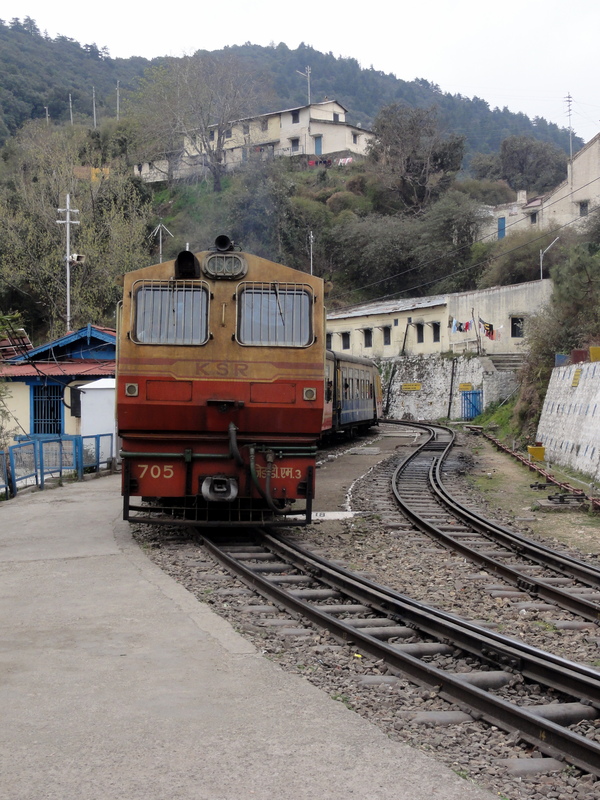 Ascending from Kalka at an altitude of 656 meters (2,152 ft), the train chugs through the winding paths and terminates at an elevation of 2,076 meters (6,811 ft) at Shimla. 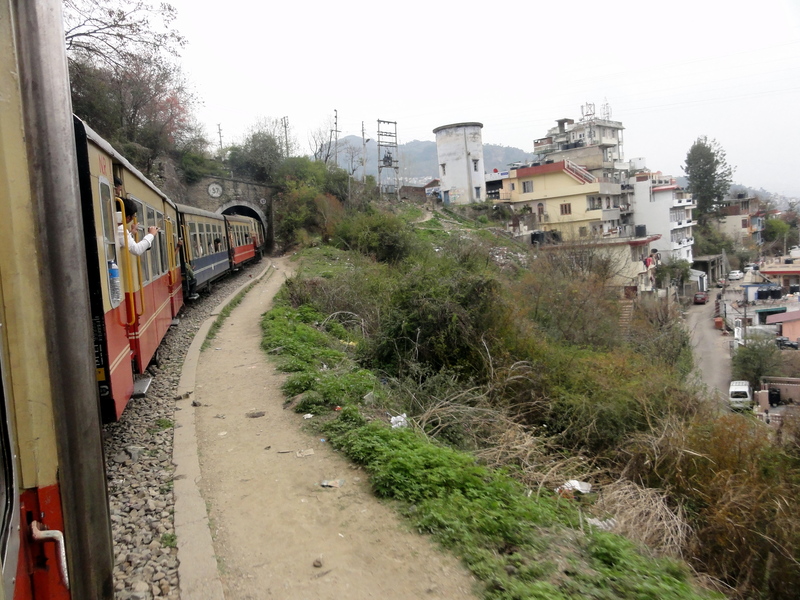 The breathtaking journey offers stunning view of the green valleys covered with pine and oak trees while cruising through 919 curves and 20 railway stations. The line which is truly an engineering marvel crosses the longest tunnel at Barog in 3 minutes. 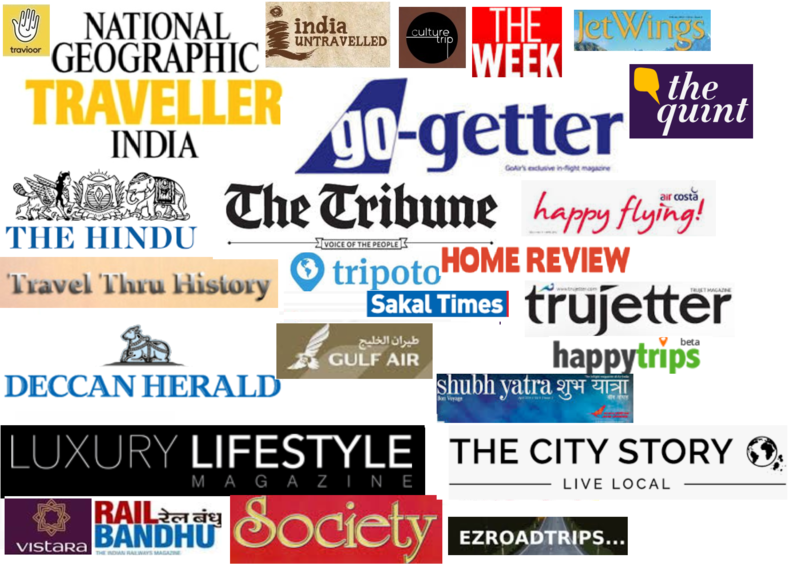 The journey is the epitome of joy, excitement and fun whose fond memories are etched in your mind forever. Complimenting this are the splendid views and majestic landscapes whose images remain for a long time even after the journey is over. If you ever get a chance to travel by this Northern Railway, do not miss it! 102 tunnels !! Wow . This sounds wonderful ! It is Priyanka, originally there were 107 but currently 102 are in use. Most welcome Archana:). 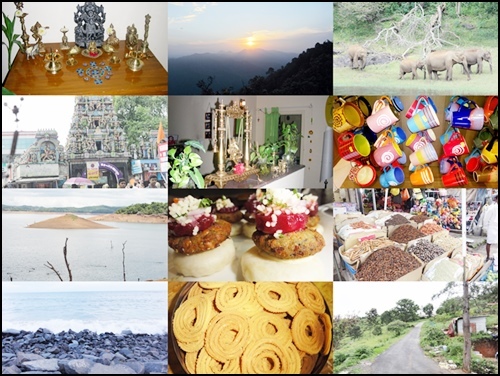 You should go one this; there is one more in the South in Ooty. Try that one as well if you get a chance. 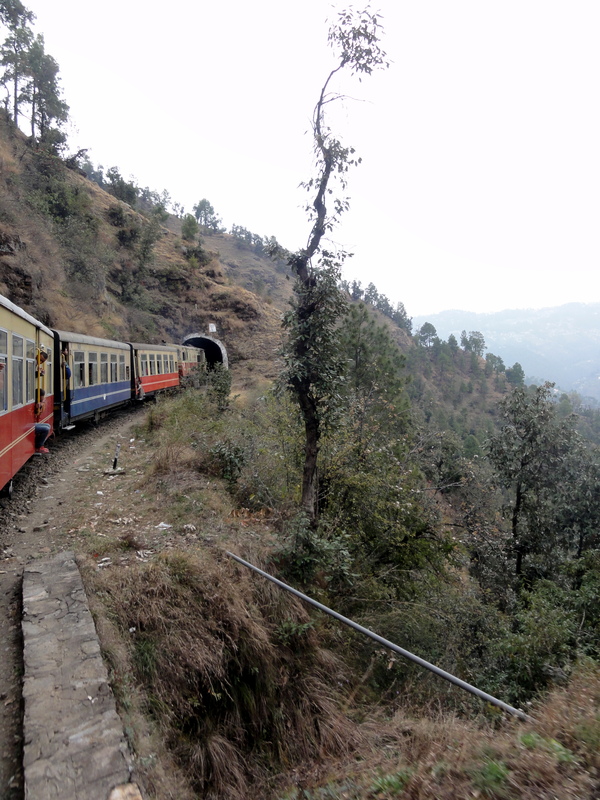 I love toy trains and my darjeeling himalayan toy train ride was an amazing experience……your pics are nice but it would be helpful for other travelers if you add info on how to get tickets, timings etc!! Sure, thanks for the feedback. 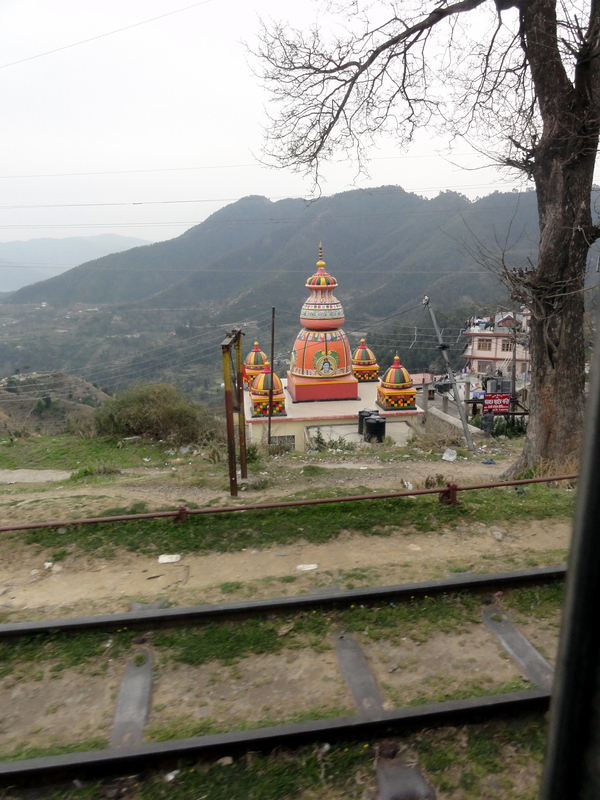 The train slowly winds it s way through the upward track from Kalka to Shimla, through rugged mountains, waterfalls, tunnels and pine forests, crossing on its way jungles of wild flowers and beautiful bridges.